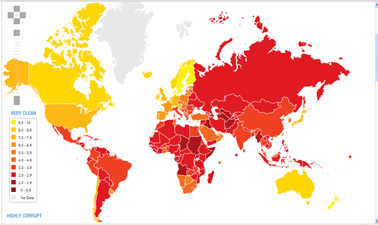 Transparency International (TI) published its annual report on corruption and Greece now ranks as the most corrupt member state of the EU, taking the spotlight off Romania and Bulgaria which have moved slightly up the TI ‘corruption index’ to just ahead of Greece. Also struggling with corruption, according to the scales used by TI, are the Czech Republic, Italy and Hungary. Their TI score has fallen since last year’s report. Russia’s score has also fallen although Ukraine’s has risen and its corruption index is now slightly ahead that of Russia. The UK ranks 20th out of 178 countires surveyed, its lowest for several years. Outstanding among the European countries is Denmark, which ranks at number one in the list, sharing that position with Singapore and New Zealand. The impact on the Greek economy has been noted by leading Greek experts who have estimated that corruption probably costs the country several billion dollars per year. This is doubtless true for other European countries that also struggle to eliminate or reduce corruption. The report’s authors do not attempt a correlation between the corruption index and majority Christian traditions in each of the European countries. This would in theory be possible though in all probability would be seen as controversial. Atheists and Freemasons met collectively with EU leaders last Friday, 15th October 2010, in a bid to receive equal rights with Europe’s religious leaders. David Pollock, the European Humanist Federation’s President told EUObserver ‘There was lots of good will and not a great deal else. It was all a bit odd.’ Five secular atheists and twelve Freemasons met with the presidents of the European Council, Commission, and Parliament for a two-hour meeting. The EU’s Lisbon Treaty establishes a legal basis for regular and transparent dialogue between the EU’s political leaders and Europe’s religious leaders. In defending the right to consultation, the European Humanist Federation claimed that one in three European have no religion. In adopting the statistical high-ground it is odd that the EHF avoided pointing out that therefore 66% of European DO consider themselves religious. More importantly, however, remains the question as to whether Europeans welcome the contribution made by religious groups to cultural, society, and political processes. European Values Survey data tends to support the view that a majority of Europeans generally favour the contribution that religious groups make to the public life. It must also be said that whilst there may be some doubts about the secrecy of certain aspects of contemporary religion in Europe, there will be many Europeans who see Freemasonry as a self-consciously secretive organisation. 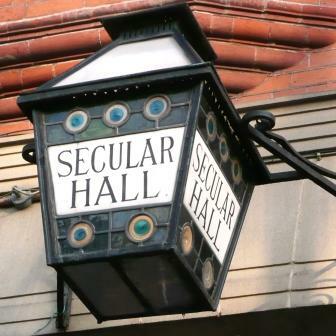 English Freemasons are also required to believe in a deity, although continental Freemasons may be atheist. Freemasonry has generally favoured separation of Church and State in Europe with occasionally unfortunate examples of discrimination (a charge readily levelled by them against religious organisations). We know of one professional colleague who was offered a place at a masonic University in Italy and was told that they would have to drop their intended PhD research interest in church-related welfare programmes as a pre-condition of accepting a place on that university’s doctoral programme. For a full report of the meeting you can view the full EUObserver article by clicking here. 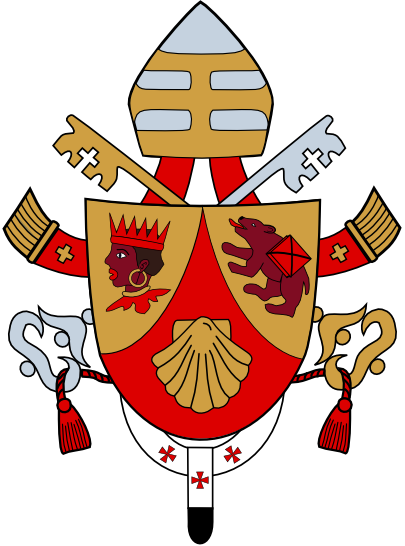 Pope Benedict XVI has issued an apostolic letter (or motu proprio) in which he establishes a new Vatican office to be know as the ‘Pontifical Council for the New Evangelization’. The intention is to establish a focus for work concentrated on reviving the Catholic Church and preaching the gospel in Europe. Critics immediately jumped on the fact that the letter had only been released in Latin and Italian. Archbishop Rino Fisichella, President of the new office, hopes to have various language sections working in the office and expects the Apostolic Letter to be available in a variety of languages within a reasonable period of time. Evangelical assessments of this recent development will no doubt be many and varied. Benedict’s recent 4-day visit to Britain in September was judged by some to have provided a necessary platform from which to frame the need for a robust Christian response to the secularisation of Europe (see Vista No. 3). Others will fear that renewed attention to strengthening the Roman Catholic Church in Europe will have a detrimental impact on non-Catholics. The creation of the new Pontifical Council reflects Benedict’s concern that the Roman Catholic Church must maintain its European heartlands if its claims to be a universal Church are to remain credible, especially in light of warmer relations with the Orthodox Churches. Unofficial translations of the text in English have begun circulating on the internet, and one such copy is available for download by clicking here. Georgian and Armenian schools face radical changes to their foreign-language learning. Whilst Armenia opted to open 15 foreign-language schools, Georgia has announced plans for all 597,800 of its schoolchildren to have English as their second language by 2014. Meanwhile, Armenia’s Education Minister, Armen Ashotian, has insisted that ‘knowledge of Russian is simply a matter of Armenians remaining competitive in today’s marketplace.’ His comments were not universally applauded in a country in which only 25% claim ‘advanced’ knowledge of the Russian language. Georgia, looking westwards, will place 1,000 native English-speaking volunteers in schools by 2011 with a total of 10,000 expected by 2014. There are currently about 200 volunteers in Georgia with a further 300 expected by the end of the current academic year. Across the European Union, recent Eurostat research (24th September 2010) revealed that in 2008, 80% of all children were studying a foreign language. Of these, the most common foreign language was English, followed by French and German. However, when asked about their levels of proficiency, only 13% of 25-64 year olds declared themselves proficient in their preferred foreign language. Such statistics lend impetus to the Georgian plans which assume that English, rather than Russian, will remain the global second language of choice. Armenian foreign-language schools were closed in 1993 on a wave of nationalism. In contrast to Georgia’s westward orientation, Education Minister Ashotian declared in 2009 that Russian would be the language of a common future within the Commonwealth of Independent States, according to Transitions Online. Whilst the debate highlights tensions between alternative visions of the political and economic futures of the two neighbouring countries, they also reveal the tension between national identity and international ambitions. As Georgia opens up its educational system, one can expect that there will be Christians among the newly recruited volunteer language assistants. The Georgian Teach and Learn programme requires no prior teaching experience and offers a short orientation to Georgian language and culture. Volunteers are placed with host families and have their return ticket and a €250 monthly allowance. Critics caution that preparation to receive and support volunteers is not as robust as it needs to be. The strategic focus on rural placements is also likely to contribute to a general sense of isolation and lack of information available from Teach and Learn’s office in the capital Tblisi. The Teach and Learn co-ordinator, Maia Siprashvili-Lee, counters that the success of the scheme will rest on interaction outside of the classroom as much as inside it. She welcomes the fact that volunteers will bring a perspective from outside of Georgia, ‘showing that there is a whole other world out there’ to young Georgians. We can pray that where appointed, Christian volunteers will serve with a Christ-like attitude that seeks to learn from Georgian traditions, history, and its people, as well as expressing humility when sharing their experiences of vital and evangelical Christian faith in other parts of the world.